Formerly Asian Association of Schools of Business International organized 2011 under the laws of the State of Delaware for the improvement, accreditation and promotion of schools of business worldwide on this . The Annual B-School Ranking Spectacle  by Michael Schemmann, 21 January 2019  A doctoral engineering alumni from Stanford University once told me: "Dad, it does not matter so much where you study. What matters is what you do there." And he could prove his point by showing that his doctoral dissertation (Armin Schemmann, June 1997) had become the world's textbook for "Modeling and Active Control of Cable-Stayed Bridges Subject to Multiple-Support Seismic Excitation," which was subsequently published and made available at Amazon.com (now out of print). Armin received several awards for building the 4-kilometer wide four-lane elevated John James Audubon Bridge, America's largest cable-stayed span, completed and opened in 2011, crossing the Mississippi River between Natchez, Mississippi and Baton Rouge, Louisiana. AASBI, the Association of Accredited Schools of Business International, believes that accreditation is a matter of public interest, rather than restrictive and elite, to certify for the public that generally accepted educational standards are met by the school regarding safety, human rights, faculty, facilities and financials, telling the public that students can learn, develop and hone their skills to graduate and to become masters. The elitist rating approach of forcing into submission by withholding supply does not exist at AASBI. The "best business schools" include the usual suspects of Harvard, Stanford and Yale. "These three names often come up in conversations and debates on what the top business schools in the United States are - and even globally - are. But you'll be surprised to find other names on the list of top ranked business schools and universities, with some of them even adjudged to be better than the three mentioned", according to Forbes, "their ranking based solely on the return of investment of the graduates of the business schools in the 5 years since they completed or earned their MBA. This means they consider parameters such as average base salary, signing bonus and employment rate, among others, based on their return on investment. ("Forbes and List of Leading Universities," cleverism.com 19 May 2017 by Martin). The commonly top-ranked B-Schools Harvard, Stanford, Wharton, MIT Sloan, Kellogg, Columbia, Tuck, London Business School, INSEAD, Oxford and Cambridge graduate only a fraction of the world's elite business students, if they haven't already dropped out like Bill Gates, Steve Jobs, Mark Zuckerberg, Larry Ellison to make their billions. The annual spectacle presented by the leading business papers has only sensational value; is rather meaningsless for purposes of selection by the two million business students in the United States. Read the entire Article PDF. The Dean of Business  Titles, Requirements, Salary and Role. Base Pay (US) with BA degree: $154,000 - $176,000, with MBA degree: $156,000 - $179,000; with doctoral degree: $160,000 - $183,000. Europe (Germany) EUR 44'000 - EUR 66'000. There is a trend in the UK towards the recruitment of pro-vice-chancellor / executive deans who are closer to the vice-chancellor with overall university responsibilities, but removed from operational details and students. In contrast, accreditation agencies require demonstration of autonomy by the business school and more international students, yet schools are grappling with local centralisation of admissions and other processes over which they sometimes have little control. - Engaging faculty, staff and students in discussions of all important collegiate issues. - Convening strategic intellectual discussions about future academic directions of departments, centers, programs and the business college itself. - Advocating for the college, especially by joining the university-wide processes in strategic planning, budget, facilities planning and political action. - Raising private funds for scholarships, professorships, programs, facilities and other college needs, normally spending 40 percent of his or her time on such activities [emphasis added]. - Playing a key oversight role in accreditation and program reviews. - Engaging with the university's council of deans. - Hiring highly effective chairs, directors, and staff. - Assuring coordination of all components of the college: departments, centers, academic programs (including undergraduate, graduate and professional), economic development activities, public service and other activities of the College. Business school deans are 'reticulists', that is 'individuals who are especially sensitive to and skilled in bridging interests, professions and organizations' with room for more visability in the media (and social media) and to develop skills in corporate and public relations as boundary spanners, intermediaries, and ambassadors. Image Nagroda Moja Firma (My Company Award) by Monika Zochowska: Professor Dr. Jan Turyna (Video on YouTube), Dean of the Faculty of Management, University of Warsaw (promotional video on YouTube).  More. Bryan Caplan: The education system is a waste of time and money. "[Professor Caplan's] broadside is worth considering carefully, given that the U.S. spends $1 trillion or so a year on education at all levels, more than the budget for defense," writes Peter Coy, "The Case Against Colleges," Bloomberg, 16 January 2018. Excerpts from Bryan Caplan (2018), "The Case Against Education. Why the Education System Is a Waste of Time and Money." Princeton University Press, 400 pages. "I have been in school continuously for over 40 years. First preschool, kindergarten, elementary, junior high, and high school. Then a 4-year bachelor degree at UC Berkeley, followed by a 4-year Ph.D. at Princeton." "The next step as a professor of economics at George Mason University. Twenty years later, I'm still here. In the fall, I'll be starting 41st grade." "The benefits of a higher education seems indisputable: People with a bachelor's degreeearn 73% more than those with a high school diploma on average." "To be maximally bluent, we would be better off if education were less affordable. If subsidies for education were drastically reduced, many could no longer afford the education they now plan to get. If I am correct, however, this is no cause for doom. It is precisely because education is so affordable that the labor market expects us to possess so much. Without the subsidies, you would no longer need the education you can no longer afford." "Ultimately, I believe the best education policy is no education policy at all: the separation of school and state." "Education is a strange industry." "Consider the typical curriculum. English is the international language of business, but American high school students spend years studying Spanish, even French. Few jobs require knowledge of higher mathematics, but over 80% of high school graduates suffer through geometry. Students study history for years, but history teachers are almost the only people who use history on the job. Required course work is still so ill suited to students' needs that you have to wonder if your eyes are playing tricks on you." "The disconnect between curriculum and job market has a banal explanation: educators teach what they know  and most have as little first hand knowledge of the mordern work place as I do. Yet this merely amplifies the puzzle. If schools boost students' income by teaching useful job skills, why do they entrust students' education to people so detached from the real world? How are educators supposed to foster our students' ability to do the countless jobs we can't do ourselves?" "I [the economist in the Ivory Tower] can't teach what I don't know, and I don't know how to do the jobs most of my students are going to have. Few professors do." "Governments delegate vast powers to a caste of Ivory Tower academics. The caste wields its power as expected: Every child has to study the teachers' pet subjects. Educators then rank students on the mastery of the material. 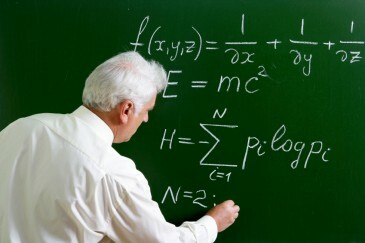 Students rapidly forget most of what they learn because "they'll never need to know it again." Employers are free to discount or disregard the Ivory Tower's verdicts. Yet they use academic track records to decide whom to hire and how much to pay." Blockchain is silently changing the world of business. A blockchain fundamentally is an extremely simple concept. Think of it as a record book that everyone can see and no one can alter. This simple idea has the potential to completely change the processes in numerous huge industries from the financial sector to governmental procedures. It’s simplicity is the reason why it is huge unrivaled potential. Blockchain technology was first thrown into the public eye when a still elusive Satoshi Nakamoto published his famous white paper back in 2008. The white paper introduced the concept of a peer-to-peer electronic cash system which was named Bitcoin. The blockchain for bitcoin was launched 3 months later in January 2009. Blockchain is the structure that allows Bitcoin and other cryptocurrencies to thrive, although blockchain can be used for more than just cryptocurrencies. So what is the future? Recently we have seen a shift towards blockchain from large banks and tech giants. Recently The Royal Bank of Canada has started to experiment with blockchain technologies for payments." Article by Medium 29 September 2017. Blockchain has become the rage at U.S. business schools. As more students seek careers in financial technology, or 'fintech', US business schools beef up training digital currency bitcoin.  The move makes sense as more students seek careers in financial technology, or "fintech," which has captivated leading Wall Street banks and been called "the most important technology since the internet." "In January 2018, the Haas School of Business at the University of California at Berkeley will offer its first ever course in blockchain software. The Haas school, which is near San Francisco and Silicon Valley, will handpick 60 students from the departments of business, engineering and law and split them into groups of six to explore possible applications of the technology. 'When people think about blockchain they think about cryptocurrencies,' said Haas school lecturer Greg LaBlanc, who sees the technology as potentially disrupting many sectors. 'We believe it will have the biggest impact on contracting, logistics and supply chains, healthcare, public administration, assets clearing, property, transactions,' he said." But traditional skills are still required: "Anyone who is coming into the financial industry is expected to have some skills in technology," said Stephen Daffron, a founder of Motive Partners, a private equity firm specializing in fintech investment. "If they don't understand how to evaluate a company that tries to employs blockchain, then they won't probably be a good fit for us," said Daffron, who lectures at the Yale School of Management. Barbara Hewitt, senior associate director in the career services office at the University of Pennsylvania, home to the Wharton School, also noted the rising interest in new skills and technology. "I increasingly see students opting to explore technical minors, such as in computer science, to be well prepared for the growing use of technology in many fields," she said.  Article at Gulf News - Markets 25 December 2017. "In US, universities such as Stanford University already launched Bitcoin and cryptocurrencies courses two years ago. While University of California - Berkeley, and Massachusetts Institute of Technology offer similar courses on the subject.There are also internet tutorials, many of which are available for free. Coursera, education technology company, has teamed upwith Princeton University in offering an 11-week cryptocurrency technology course. Three years ago, a group of experienced cryptocurrency executives founded the BlockChain University in California which offers an 8-week course to students who pay $100 refundable deposit once the course is completed. Other educational initiatives on Blockchain in London and Hamburg is called B9lab which offers a 40-hour course on Blockchain for technical executives and analyst which costs €2,350 for a nine week training.  Article by Anthony Coggine, The Cointelegraph 23 June 2017. Wages for China's 2017 · 7.95 Million · College Graduates Are Plunging.  "Wages for China’s newest college graduates are plunging even as their ranks rise to a record. That’s unwelcome news for the nation’s young elite, but it may aid policy makers striving to shift the economy into higher technology industries and services." Monthly salaries plummeted 16 percent to 4,014 yuan ($590) this year for a second-straight annual decline, data from recruitment site Zhaopin.com show. The Ministry of Education estimates that 7.95 million will graduate this year, almost the population of Switzerland." ""When you walk into a bank here, even the counter women are highly qualified," says Song Yu, chief China economist at Beijing Gao Hua Securities Co., Goldman Sachs Group Inc.’s mainland joint-venture partner in Beijing. "Downward pressure on professional salaries also may spill out beyond China’s borders. Technology-enabled globalization of services lets professional work flow unimpeded around the world, and while services historically have been provided in person, that’s less true of modern finance, accounting, or consulting, according to Yale University’s Stephen Roach."  More at Bloomberg News 02 June 2017. Amazon’s shopping spree at business schools. One of the biggest recruiters of MBA graduates.  Miriam Park's university recruitment team last year hired MBA graduates “in the high hundreds” across the world, about 30 per cent higher than the previous 12 months at MBA levels. “I don’t foresee that growth rate slowing down any time soon,” she says. "Starting salaries at Amazon range from $137,000 for a programme manager to $180,000 for a senior product manager, including signing bonuses. This compares with an average for consultancy positions of $165,000, and $170,000 for those taking jobs at investment banks."  “They’re fairly adaptable, they have a high level of what I would call ability to deal with ambiguity. Couple that with MBAs who have a great analytical bent and it’s the perfect pipeline.” Amazon needs people who can develop strategy, manage project teamns and create new services.  Amazon is a partner company on U of Michigan Ross School of Business' Multidisciplinary Action Project, a core part of the school’s MBA course.  By Jonathan Moules Financial Times 27 March 2017. (3) the British AMBA Association of MBAs; and in the process of receiving endorsement from the (4) AACSB the American Association to Advance Collegiate Schools of Business which accredits 780 business schools in 53 countries. Each accreditation body requires enormous effort and expense. Some of the world's greatest institutions, including Harvard Business School, the Wharton School and Stanford Graduate School of Business, have built global brands with just one endorsement from the AACSB. Why do high-quality schools such as MIP seek so many forms of accreditation? The advantage of four accreditations, says MIP's dean, is four different views on how MIP can raise its game. Today, business schools are concerned about their survival, with traditional 2-year MBA application numbers either flat or falling. Accreditation bodies are receiving record numbers of applications, AMBA charging a £22,000 processing fee for membership and accreditation with annual dues on top. The total processing fee for the EQUIS accreditation is €42,250 (5-year accreditation); AACSB $20,400; AASBI accreditation application and processing fee: ZERO (see Table). "AMBA approval has been awarded to 244 schools, up from 199 just three years ago, across 70 countries. Its focus on MBAs, the flagship courses at most business schools, and specialist masters degree courses, means AMBA tends to attract prestigious institutions." "The aim for many schools is the so-called triple crown of AACSB, AMBA and EQUIS accreditation held by 76 schools worldwide."  Article by Jonasan Meules, Financial Times, 19 January 2017. 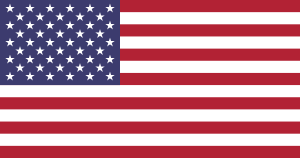 U.S. News & World Report:  1. Shorter, less expensive degree: A U.S. master's degree typically requires two years, in the U.K. and Australia, as little as one year, spending less on tuition and living expenses.  2. Lower tuition: In the U.K. a one-year Master in Science in Sustainability and Environmental Management at Middlesex University London costs GBP 12,500 ($15,200 US) for full-time international students. U.S. tuition for a Master of Science in Environmental Management at the University of San Francisco is $20,720 for all students; the second year of tuition is around $18,130. Australia: AUD 22,500 ($16,800 US) at UniSA, the University of South Australia.  [Compare with Switzerland: CHF 10,700 ($11,000 US) per term of fulltime MBA, total of 3 terms, at SBS Swiss Business School in Zurich.]  3. Few or no required standardized tests: U.S. graduate programs require students to take standardized tests like the GRE or GMAT. In the U.K. and Australia, many universities only require international students to take English language proficiency exams.  Article 17 January 2017 by Anayat Durrani, freelance education reporter for U.S. News based in Los Angeles. 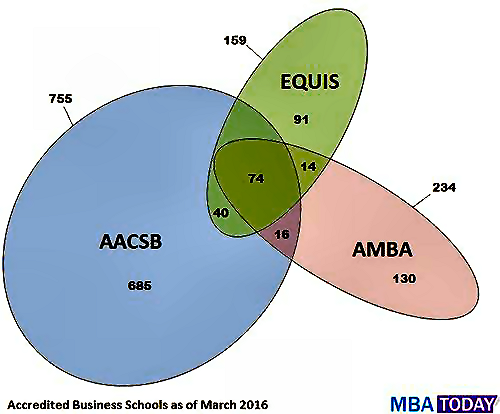 Triple-accredited business schools  "As of January 2017, 77 business schools in the world hold the "triple crown" accreditation from... AACSB, AMBA, EQUIS. 68,2% of them are from Europe." "[T]he AACSB accreditation body is widely recognized in North America and few institutions[only three: Perdue University, Babson College, Bentley University]pursue another international accreditation."  "Additionally, Pursuing multiple accreditations involve significant costs for business schools."  Article MBA Today, January 2017. Note: AASBI's annual dues: Only $1,200 USD for schools of business with up to 500 full-time equivalent students. $2,400 USD for schools of business with over 500 full-time equivalent students. Ethics of AACSB Accreditation  AACSB accreditation by the Association to Advance Collegiate Schools of Business (formerly the "American Assembly of Collegiate Schools of Business" founded as an accrediting body in 1916 by 17 American universities and colleges) is promoted as the gold standard for business school accreditation with a membership of 1600 organizations and 800+ accredited institutions that held a monopoly in the U.S. until the emergence of ACBSP and IACBE in 1988 and 1997, respectively. "The cost of AACSB accreditation can be as high as $10 million or more." 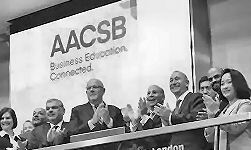 "Queens College of the City University of New York (CUNY) decided that the millions it would cost to achieve AACSB accreditation was not worth it, given that money was needed for other purposes." US News & World Report ranks Queens College as the #38 among Regional Universities North with an overall score of 64/100. Iona College has AACSB accreditation for its business program but according to US News ranks #75. 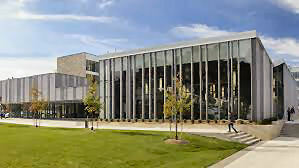 William Patterson University of New Jersey has AACSB accreditation and ranks #104 among Regional Universities North. The University of Mississippi and Shenandoah University have AACSB accreditation with overall scores of 24/100; the overall score for Harvard University if 98/100. "Evidently there are huge difference in quality among the schools on the AACSB list." "One list of “America’s 32 worst colleges” in 2015 is based on ten measures that include return on investment, overall academic rating, professor quality rating, graduation rate (percentage of students that graduate in four years), as well as non-academic measures such as social life and campus quality. Eight out of the 10 worst colleges on the list have AACSB accreditation for their business programs (Owens, 2015). Incidentally, creating lists of the worst colleges is much more difficult than creating one consisting of the best colleges."  Source: Hershey H. Friedman and Friematt Kass-Shraibman (2017, November 13), "The Ethics of AACSB Accreditation: Unintended Consequences," Booklyn College (CUNY) Article | offline PDF  See also Kyle E. Brink (Western Michigan University) and Clair A. Smith (St. John Fisher College) (2012), "A Comparison of AACSB, ACBSP, and IACBE Accredited U.S. Business Programs: An Institutional Resource Perspective" Article SSRN - offline PDF. Harvard Business School Executive Education - BBC: "Smart ways to get Harvard Business School on your CV"  "Top business schools, including Harvard, have long attracted business people who want to further develop their skills, build their network and hone a competitive edge. But unlike degree programmes - where admission rates can be as tough as just 7% of applicants and require near-perfect GPAs (Grade Point Averages) and test scores - many of the executive education programmes have few academic admission requirements." "'It's not the same rigour as getting an MBA from an elite school,' said Columbia University's associate dean of executive education Michael Malefakis. "We do a serious review of who is coming to our courses - they need a good executive track record - but it's less about the academic preparation." "At Harvard, courses cost anywhere from $4,500 for a three-day programme to $80,000 for eight weeks and they are taught by professors who lecture on the school's degree programmes. (Often, specialised programmes take places in other countries.) For those who can afford to splurge - or are lucky enough to be sponsored by their employers - forming a network is part of the draw." "For business schools, executive education programmes have long been lucrative. Many take up fewer resources than degree programmes." "At Harvard Business School, executive education revenue made up $168 million out of $707 million total revenue in 2015.""  By Alina Dizik 27 July 2016 online Article at BBC capital  offline PDF. AASBI's Vision of the Future of Higher Business Education  AASBI recognizes that in a decade or two, half of the world's 13,000 business schools may be extinct for failure to shift educational emphasis away from dusty textbooks, old and gray theories, towards professionally relevant technical applications culminating in dual degrees, the first traditionally academic, the second based on professional entry examinations offered by institutes of accounting, finance, law, supply chain, and even engineering... Future business school graduates hit job running, competent in their major and chosen specialization. (See Chapman Pincher, "Business schools no longer relevant in the age of automation, " Financial Times Business Education, 10 January 2016; John A. Byrne, "Are American business schools headed for a GM-like catastrophe?" FORTUNE, 8/15/2015.) 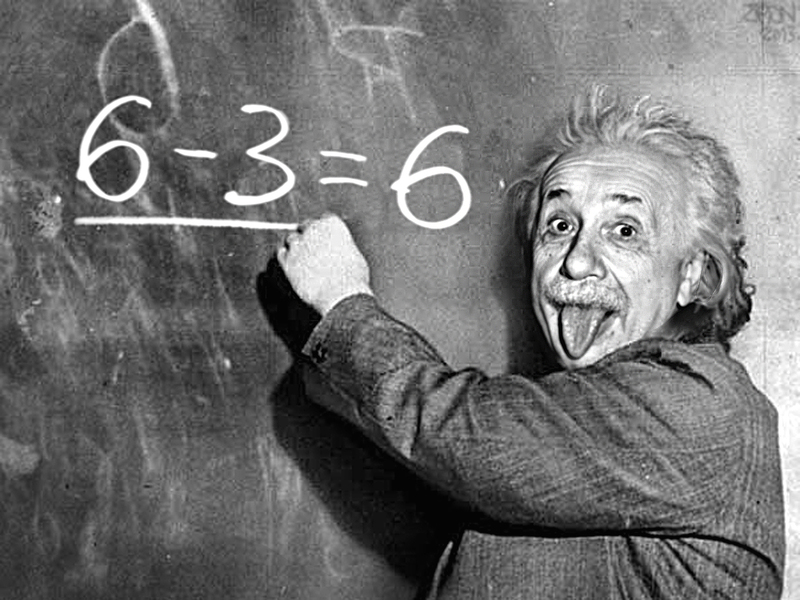  Image: Mike McCurlie, "Einstein's Right Brain Can Help Your Business" mjmMEDIA  Staff article PDF first published 2016-04-08. MBA: With U.S. enrollment down, B-schools are wooing foreigners.  "As the U.S. appetite for the MBA degree wanes, many of the country’s more than 700 B-schools are stepping up recruiting abroad, where regard for this American invention appears undiminished." "The number of U.S. citizens taking the main business school entrance exam, the GMAT, dropped by a third from the 2010 to 2015 testing years while the number of foreign nationals taking the test rose almost 19 percent." "[I]nternational students make up more than 35 percent of the class at over 50 of the 200 U.S. business schools, compared with just a handful a decade ago." 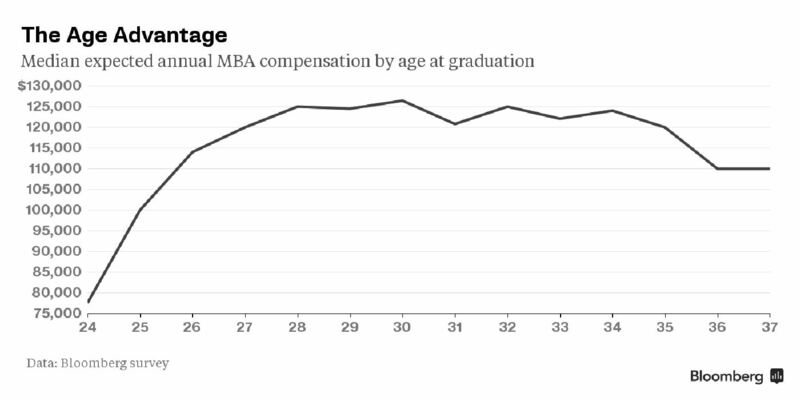 "U.S. MBA education is in the declining phase of its long and relatively illustrious history." Roger Martin, who led the University of Toronto’s Rotman School of Management for 15 years predicts that half of U.S. business schools may not be operating in 10 to 15 years, because there won’t be enough enrollment to support their “very bloated” cost structures. "Like U.S. consumers who began buying Toyotas and Hondas, Martin sees rising numbers of would-be MBA students opting for one-year specialized master’s degrees, enrolling in online MBA programs at a fraction of the cost of full-time, two year MBA experiences, or simply doing without advanced education and progressing in their current jobs." (See "Are American business schools headed for a GM-like catastrophe?" by John A. Byrne FORTUNE 17 August 2015.)  Article by Nick Leiber BloombergBusiness 18 March 2016. Asia drives demand for international schools  Another top boarding school in England is setting up a school in China, travelling the path taken by schools such as Harrow, Dulwich College, Malvern and Wellington. "We're catering to the insatiable demand in China for an English-medium education," said Wycombe Abbey's headmistress Rhiannon Wilkinson, who has also taught in Hong Kong and Brunei. "But we are also responding to a need for an English-style education system and Chinese methods," she said. "They don't want to be westernised but they want to apply to western universities."  "Some parents also want their children to rub shoulders with an international elite and build contacts for a future career." "Another motivation is to escape the relentless drudgery and ferocious competition of a local school system based on rote learning and geared only towards exams."  By Yojana Sharma BBC News Business 16 Feb. 2016. MIT Dean Wants to Start a New Radically Different University in Massachusetts  Professor Christine Ortiz, a dean for graduate education at MIT, is taking a one-year leave at the end of the 2016 to start a new non-profit research university in Massachusetts. There will be no lectures, majors, or classrooms, and no distinction between undergraduate and graduate students. Instead, the university will place a focus on “project-based learning”. Students will “come in and leave at different levels after they complete a project that they…deem completed. 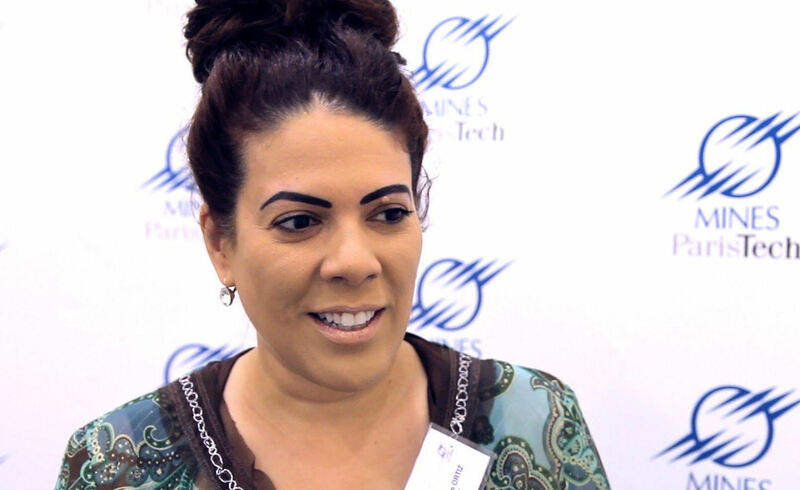 [We hope to think] outside of the degree system totally,” Ortiz told The Tech. Ortiz said that the scope of research undertaken at the university would be broad: students would be able to work on both basic research and applied research, but also on “a vision for a startup.” Chancellor Cynthia Barnhart credits Ortiz with helping increase MIT’s minority graduate student population by 30 percent since taking the job in 2010. The success of her new school will determine whether she will return to her material sciences professorship in 2017. Ortiz is currently finalizing her founding team and beginning the legal process for establishing a university.  Article | Article PDF offline 01 February 2016.
Business schools no longer relevant in the age of automation  "Business schools have taught core modules on strategy, finance, marketing, people and economics for the past 50 years. There may be optional extras such as leadership, mergers and acquisitions or not-for-profit, but IT has barely had a look-in on a typical MBA programme and technology certainly does not feature as a core."  Business schools "were found wanting in the 2008 global meltdown — look at articles on “business schools to blame for financial crash”. But this is nothing compared with the crisis now brewing in business, and the complete lack of understanding or leadership from business schools to manage it."  "A new discipline is needed, call it “Future Technology”, looking at new robust strategy processes and the impact of technology on every area of business."  Article by Chapman Pincher, FT Business Education, 10 January 2016. China's New Found Love of Private Education  “The education system today ignores personality development, values, and social responsibilities. This is [the] cause of great problems for our country,” said Yang Dongping, an education expert at the Beijing Institute of Technology and the dean of the 21st Century Education Research Institute. Every year, more than nine million students in China sit the same terrifying exam that will determine which university they can attend and ultimately their job and future social status. 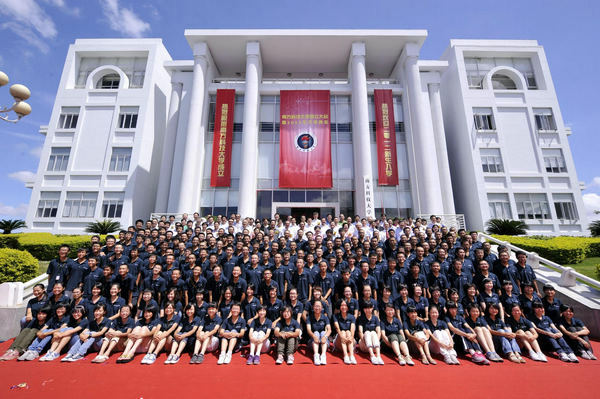 The state system remains geared almost entirely towards this high pressure end of high-school exam, called the “gaokao”.  Virginie Mangin, BBC capital 24 December 2015 - Article | offline. Lessons for ASEAN on the Globabilzation of Education  "The latest Open Doors report has once again demonstrated the urgent need for Asean countries to take immediate steps for the internationalisation of education. While China, India and South Korea have quickly emerged as players in the domain of international education, ASEAN, and in particular Thailand has not made its mark as yet" by (1) failing to globally recruiting faculty and students, (2) stop concentrating on a few select disciplines rather than teaching each and every subject, and (3) build the reputation and performance of the alumni. 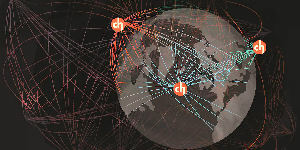 Finally, institutes have to foster regional and international networks.  by Worsak Kanok-Nukulchai, Bangkok Post, Article 22 December 2015. | See also "Education, globalisation and the knowledge economy" The Economic and Social Research Council, Article September 2008. Why Growth in International Enrollments Could Soon Be Slowing  There are already signs, however, that the future outlook could be gloomier: The economy in China, which accounts for a third of all international students in the United States, has started to slow; its stock market crashed this summer. Economic and political shifts could change or curtail government scholarship programs in several countries that send tens of thousands students here to study.  Karin Fischer, The Chronicle of Higher Education 16 November 2015 - Article. International Students in the U.S. Up Ten Percent to Nearly One Million; Study Abroad by American Students Picks Up Momentum  "The 2015 Open Doors Report on International Educational Exchange, released today, finds the number of international students at U.S. colleges and universities had the highest rate of growth in 35 years, increasing by ten percent to a record high of 974,926 students in the 2014/15 academic year. This strong growth confirms that the United States remains the destination of choice in higher education. The United States hosts more of the world’s 4.5 million globally mobile college and university students than any other country in the world, almost double the number hosted by the United Kingdom, the second leading host country." "While study abroad by American students has more than tripled in the last two decades, reaching a new high of 304,467, still only about 10 percent of U.S. students study abroad before graduating from college."  Sharon Witherell, Press Release,IIE Institute of International Education, 16 November 2015 More. Greek tragedy for education opportunities.  A less visible but perhaps further reaching outcome is that Greece's education system has become one of the most unequal in the developed world. Although education in Greece is free, public schools are suffering from spending cuts imposed as a condition of the bailout agreements. In practice, over the last 30 years it has become increasingly necessary for students to pay for expensive private tuition to pass the famously difficult Panhellenic exams required to get to university. But with unemployment rising and salaries falling, many poor and middle-class families are struggling to pay for this extra tuition. A World Economic Forum report this month ranked Greece last of 30 advanced economies for education because of the close relationship between students' performance and their parents' income. And a professor of law and economics at the University of Athens warns that losing talented students from poor backgrounds is a "national catastrophe" which could hinder Greece's long-term economic recovery.  Story by Matt Pickles on the BBC | offline | 30 September 2015. SPUP - St. Paul University Philippines.  Int'l Research Conference and Call for Papers "Towards an Integrated ASEAN Community" at Tuguegarao City January 14-16, 2016. Topics: Business & Hospitality, Health Sciences, Technology and Engineering, Science and Mathematics, Environmental Stewardship, Global Education, Spirituality, Language and Humanities. Participants are educators, researchers, health care providers, practitioners and graduate students mainly from Asia. There is a Pre-Conference on January 13, 2016 on "Holistic Healing: Harmony of Mind, Body & Spirit." Tour of Tuguegarao City and region is offered at the close of the conference on January 17, 2016.  Details PDF. "What will higher education be like in 2040?"  By Angel Calderon, principal advisor in the planning and research consultancy at RMIT University, Melbourne, Australia. Excerpts fair use: The number of students enrolled in tertiary education today exceeds 200 million globally, compared to 47 million in 1980. Enrolments are projected to exceed 660 million by 2040. This would represent 10% of the world’s population aged 15–79 by 2040, compared to 4% in 2012.  Higher education participation rates will continue to rise, particularly in emerging and developing countries. By 2040, most countries will have a participation rate that will exceed 60%, meaning that demand for previously unmet domestic higher education will be met for countries such as China, India, Brazil and Indonesia.  Short-term exchanges (such as the Erasmus programme under the auspices of the European Commission or the ASEAN International Mobility for Students) are likely to be strengthened as governments, funders, enterprises and students realise the gains by students from such experiences (for example, soft skills).  Many countries that aspired to become educational hubs for international students will have either succeeded or entirely bailed out. Dominant countries of international education are likely to remain competitive. These dominant countries are likely to face greater competition from China, Russia, Malaysia and Singapore.  Education is globally connected, like many other service-oriented industries. What occurs in one jurisdiction resonates elsewhere. By 2040, higher education will be more greatly integrated with related industries (such as media, telecommunications and professional services). The implication is that knowledge production will be controlled by fewer players compared to the present, and this will influence students’ destination choices when it comes to international mobility.  The cross-border mobility of students, academics, skills and ideas will depend on the way institutions, governments and other stakeholders define and develop these partnerships and agreements. These efforts will also influence institutions’ global standing.  By Angel Calderon at University World News - Issue No. 381 - 11 September 2015 Article online. British academic Wyn Ellis detained at Thailand airport on grounds of national security for uncovering Chulalongkorn University's case of plagerism by the director of National Innovation Agency, Supachai Lorlowhakarn, seven years ago, who has meanwhile been stripped of his PhD.  Full story on the BBC | offline 06 September 2015. | Wyn Ellis released from Thai detention - BBC 07 September 2015. Can Half The Business Schools Really Go Out Of Business?  by John A Byrne, Article, Poets&Quants 15 July 2015. Rule of law in China, a country which locks up its human rights lawyers  Dozens of Chinese lawyers have been detained or interrogated over recent days in what seems to be a co-ordinated roundup. The crackdown has targeted those who take on cases involving free speech, human rights and abuses of power, presenting many of them as motivated by greed and a reckless disregard for social order. Last year saw reforms designed to make courts less corrupt and less embedded in local politics. There were promises to exclude tainted evidence, torture and coercion. But at the same time, President Xi said the rule of law would be "a knife whose handle was in the hands of the party and the people". But there can be no doubt that the irony of all of this is not lost on the defence lawyers who are now sitting in cells hoping for a visit from their own defence lawyer. For many years they tried to advance a "rule of law" agenda within the system and could have been forgiven for hoping that when President Xi declared his own determination to pursue the rule of law their cause might prosper. Where do China's lawyers go from here? And who will be the defence lawyer when so many of them are behind bars? 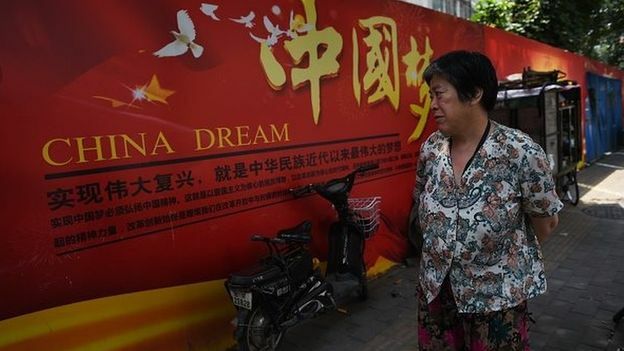  By Carrie Gracie 13 July 2015 BBC News-China. 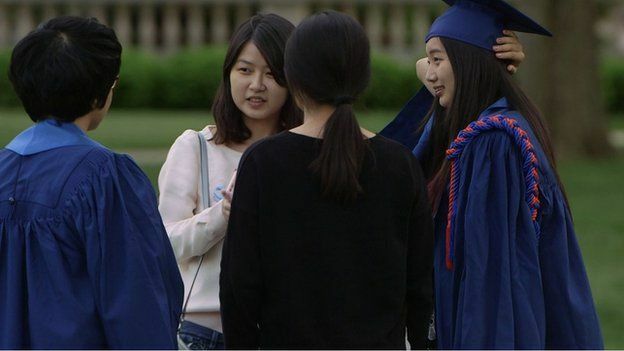 Why do so many Chinese students choose US universities?  There are more than a quarter of a million students from China in colleges in the United States - a third of all international students in the country - and almost a fivefold increase since 2000. Junfeng Guan ("Jayden") chose the UIUC without ever having been to the US. He turned down an offer at a Chinese university in Shanghai because a Western education offered him the freedom to choose his focus of study. "I want to go where I can learn whatever I want", he explained. Asia: The next higher education superpower? (2015)  "The center of gravity in higher education is perceptibly shifting to Asia where more than half of the world's population is found. This thought-provoking book raises new questions about interconnectedness and interdependence in higher education with the Asian factor fully in focus." — Anne Pakir, Associate Professor, National University of Singapore. "The rise of Asia has been a big theme of the global university rankings in recent years, with data showing some outstanding progress by a number of key universities backed by exceptionally generous funding and strong political will. But questions still remain about the true potential of Asia's universities and whether they can truly break the Western hegemony—so this book comes at a very important time." — Phil Baty, Editor, Times Higher Education World University Rankings. "With Asia's rising influence in the global economy this is a timely collection on Asian higher education and its future promise. Given the rich traditions of Taxila and Nalanda in ancient India, Yuelu and other shuyuan, as well as China's fabled civil service examination system, it is not surprising to find the distinguished contributors to this volume opening up a wealth of interesting possibilities!" — Ruth Hayhoe, Ontario Institute for Studies in Education, University of Toronto. "This is an outstanding collection of papers. They not only describe recent developments in Asian systems of higher education but also analyze the challenges that these pose for higher education everywhere. The rise of Asian universities, the papers show, is reconstituting the architecture of the global higher education, with far-reaching social, political, and economic consequences." — Fazal Rizvi, Professor, University of Melbourne Graduate School of Education. More by the Institution of International Education. Results of Higher Education Reform in Asia  The Asian-African Conference Commemoration (AACC) at Bandung 1955 stressed the importance of promoting higher education as an inherent part of the cooperation. Many countries in Asia and Africa that had not yet been able to develop their educational, scientific and technical institutions. The conference recommended that countries in Asia and Africa that were more fortunate in this respect should facilitate the admission of students and trainees from such countries to their institutions. Singapore and Malaysia have proved great achievements in developing higher education. The education firm Pearson ranked Singapore in the top five countries providing the best education in the world, along with Finland, South Korea, Hong Kong and Japan in 2012. Singapore and Malaysia have made great reforms in their higher education sectors. Singapore allows the establishment of foreign branch campuses (FBCs), such as the University of Newcastle, Curtin University, etc. Singapore now has 16 FBCs, hosting some 100,000 international students in undergraduate and graduate programs (UNESCO, 2012). Similarly, Malaysia has nine FBCs with 136,000 international students there. Recently RMIT University from Australia was given permission to establish Vietnam’s first FBC in 2011. Today, RMIT in Vietnam serves over 6,000 students through its campuses in Hanoi and Ho Chi Minh City. Indonesia: In ASEAN, Thailand, Malaysia and Indonesia, quantitatively, have shown great achievements in promoting their higher education. Approximately three in 10 Indonesians are at the age of entering tertiary education, just behind Thailand and Malaysia. Indonesia has 4,251 higher education institutions serving over 5.1 million students. This is a positive trend with a compounded annual growth rate of 6.1 percent as compared to total students of 3.8 million in 2009. With its existing gross domestic product (GDP) of US$2.55 trillion (2014), the World Bank records Indonesia as the ninth largest economy in the world. With Indonesia’s population of 252 million and purchasing power parity income of $10,157, its existing gross enrollment ratio will likely increase significantly to be equal with Malaysia or Thailand within the next few years. However, only 25 higher education institutions obtained “A” accreditation at the institutional level, representing only some 0.5 percent of the total institutions in Indonesia (Dikti, 2014). 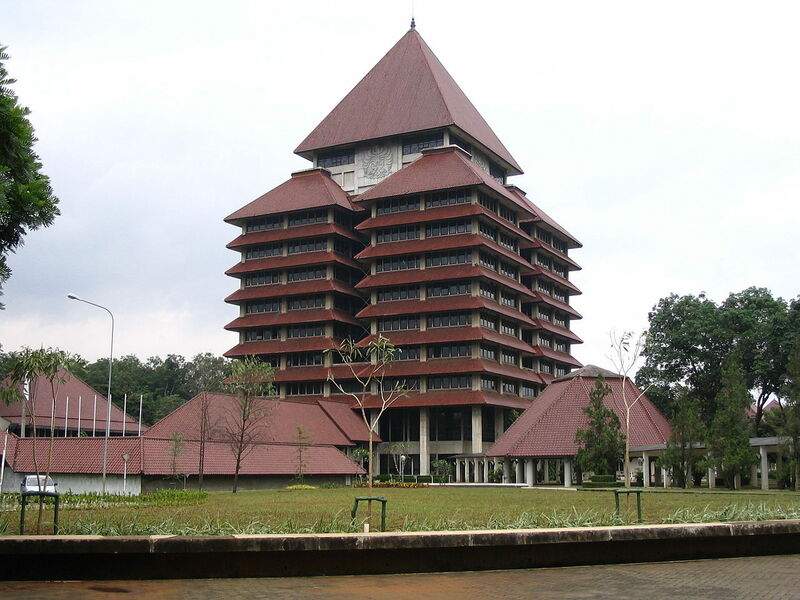 In the Times Higher Education Asia University Rankings 2014, there were no Indonesian universities in the top 100. The Boston Consulting Group in May 2013 reports it was estimated that the talent gap for middle managers in Indonesia would reach as high as 56 percent. This would result in the need to hire foreign talent in Indonesia to fill the gap. 35,000 students are leaving Indonesia to study abroad in search of quality education. Average tuition being $12,000 per annum and living expenses about $10,000 a year per student, the outflow of foreign exchange from Indonesia comes to $1 billion a year. Indonesia could reform its higher education to speed up internationalization orientation as proposed by the conference in three major forms. First, by sending more Indonesian students and faculty members for advanced studies abroad on selected areas of great priority. Second, as a pilot model in each province, some public or private universities could integrate international dimensions into their teaching and learning, including the development of both English programs and bilingual ones (Indonesian and English). Third, as a pilot approach, start transnational programs in cooperation with foreign institutional partners in Indonesian universities, including the establishment of FBCs. Indonesia could collaborate with international university networks such as Laureate Education, which consistently implements the Bologna Process (1999), to ensure comparability in the standards and quality of higher education qualifications. Under former president Bill Clinton as the honorary chancellor, this global university network includes more than 80 accredited campus-based and online universities across some 220 campuses and it has about one million students across 30 countries throughout North America, Latin America, Europe, North Africa, Asia and the Middle East. By Prof. Hafid Abbas, Jakarta, "Higher Educations Reform and Six Decades of Asian-African Conference (AAC)," Jakarta Post 25 April 2015. Laureate Education: World's Biggest For-Profit College Chain Plans $1 Billion IPO  Laureate Education Inc. (honary chairman former President Bill Clinton), is planning a a $1 billion initial public offering in the U.S. The company could be valued at about $5 billion. Based in Baltimore, Laureate Education Inc. owns 84 universities, mostly in emerging markets. Laureate was taken private in a management-led $3.8 billion buyout in 2007, backed by an investor group including KKR & Co. and Citigroup Inc. The market climate surrounding for-profit education is not good. The For-Profit Education Index of 13 companies, including DeVry Education Group Inc. and Apollo Education Group Inc., has plunged 55% since its peak five years ago, student enrollment has slowed amid recruiting abuses and student debt concerns, leading to a regulatory crackdown. In the past six months, both Corinthian Colleges Inc. and Education Management Corp. were delisted from the NASDAQ. With a $5 billion market value, Laureate would be the second-biggest in the index, after Graham Holdings Co. (owns Kaplan test preparation services and online schools).  By Leslie PickerDevin Banerjee 24 April 2015 on Bloomberg News. Western universities close Confucius language Institutes.  As part of its strategy for greater international influence, China is spending big on Confucius Institutes, culture and language centers, around the world. Confucius Institute Headquarters, a body directly-run by China's Ministry of Education, pays the initial costs of $50,000 to $100,000 for setting up an institute and also dispatches accredited language instructors to teach in each location. In December last year, Yu Zhengsheng, a member of China's Communist Party Politburo Standing Committee, celebrated the opening of a Confucius Institute at Hanoi University during his trip to Vietnam. The move appears to be a push by Beijing to expand its network of influence by tying them to diplomatic visits by officials. Nevertheless, greater numbers of Western universities are closing the Chinese institutes after becoming wary of the ways Beijing runs its international centers.  Ken Moriyasu for Nikkei Asian Review Article | offline. Education: Global competition The two education superpowers - Finland and South Korea - are followed by three other high-performing Asian education systems - Hong Kong, Japan and Singapore. EDUCATION TOP 20: (1) Finland; (2) South Korea; (3) Hong Kong; (4) Japan; (5) Singapore; (6) United Kingdom; (7) The Netherlands; (8) New Zealand; (9) Switzerland; (10) Canada; (11) Ireland; (12) Denmark; (13) Australia; (14) Poland; (15) Germany; (16) Belgium; (17) United States; (18) Hungary; (19) Slovakia; (20) Russia. The UK - which is considered as a single system, rather than four devolved administrations - is then ranked at the head of an above-average group including the Netherlands, New Zealand, Canada and Ireland. These are ahead of a middle-ranking group including the United States, Germany and France. At the lowest end are Mexico, Brazil and Indonesia.  BBC News 27 Nov 2012. Lines Get Even Longer for Applicants to Top U.S. Universities  Applications to Princeton, Dartmouth and New York University rose, demonstrating that competition remains fierce for spots at top U.S. colleges. Princeton received 26,993 applications for the class of 2019, 1 percent higher than last year and the second-largest pool in its history, accepting 7.4%. New York University, in New York City’s Greenwich Village section, said it had received more than 60,000 bids for admission. Applications to the private school have more than doubled since 2002, the school said in a statement. The school said interest in new campuses in Abu Dhabi and Shanghai was ‘‘especially significant.”  A Former NYU Local EIC Writes About His Time at NYU Abu Dhabi's "Walled Garden".  BloombergBusiness News 15 Jan 2015. 70% of Thailand's high school graduates continue on to higher education.  "Graduate enrollment at universities across Thailand has grown by 300% over the past decade and there are now 170 higher education institutions catering for over 2,500,000 students. University qualifications have become so common that they are now necessary for even a basic clerical positions. International organisations that recruit young professionals in Bangkok often shortlist their applicants by only including graduates from foreign universities or Thailand’s most established institutions, such as Chulalongkorn University and Thammasat University."  Saksith Saiyasombut & Siam Voices, "Decision time for Thailand’s high school students." asiancorrespondent.com 23 December 2014. T. Boone Pickens "If I were Drake [the international recruitment company], I wouldn’t waste my time on it." "No, it's not necessary to have one. 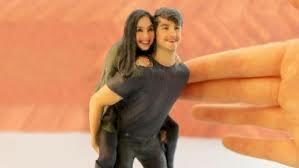 Do I wish I had one? Sure...." If I had the time and money, sure I'd like to have one. T. Boone Pickens, is an American business magnate and financier. Pickens chairs the hedge fund BP Capital Management. He was a well-known takeover operator and corporate raider during the 1980s. Linda Heasley, CEO of Lane Bryant, UCLA Anderson MBA 1986: “The value of an MBA in 2014 is, it allows you time to process things that you learned on the job into frameworks and constructs. At the same time it's an amazing neworking opportunity, and as a student you have doors opened for you relative to internships, getting exposed to people, do exploratory interviews in a way that it is harder to do if you are not a student." More interview. "I went to Anderson and had a very good education in finance. The faculty there was outstanding in finance as well as in marketing..."
Deepak Chopra: MBA programs are important because they teach the world's future leaders business ethics and sustainable development. Chopra teaches a course called "Just Capitalism & Cause Driven Marketing" at Columbia Business School. He is an Indian-American bestselling author and public speaker. Deepak Chopra is a prominent alternative medicine advocate and is a "controversial New-Age guru" (Wikipedia). Joanna Coles, Editor-in-chief of Cosmopolitan: "I wonder sometimes if business school is corporatization of education. And if you look at the really big visionaries in American Business, the new founders, so many in Silicon Valley now, a lot of them didn't even finish undergraduate. Their attitude is, they're the visionary, they're going to hire people who went to business school, but they're not going to waste their time at business school." Changes Young People Want in Education: Thailand  "From the frequency of responses, an overwhelming proportion of Thai youths wanted the content of their education to be changed, with many citing the need for more practical skills applicable to both work and real life to be incorporated into the curriculum, rather than a mere emphasis on theoretical knowledge. Some more called for schools to impart critical thinking and analytical skills to students, so that students could carve their own opinions and think out of the box.  Unique to Thai responses, some youths also desired for their curriculum to contain less elements of patriotic education, including reduced focus on the inculcation of “Thai-ness” among learners. "Many Thai youths also called for systemic and structural reform to the education system, especially in terms of increasing freedom for learners to choose subjects and tracks based on interest, reducing schooling hours, and relooking at current national assessment systems."  Report by Stephanie Choo [s.choo(at)unesco.org], EPR (Education and Policy Reform Unit) at UNESCO Bankok 17 December 2014. For business students, the IICPA's Certified ControllerTM Program may be an answer to students' demands, designed to be taught at colleges/departments and schools of business. See IICPA Certified Controllership Program. Apple plans an extension of its in-house "Apple University" to China bringing Steven Jobs’ vision to Asia. 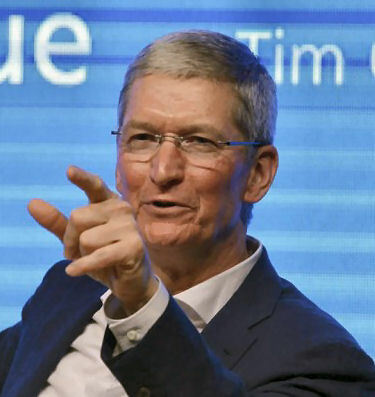  Apple is seeking to cement its business position in Asia for the long-term with an expansion of its Cupertino-based internal training program, the so-called "Apple University," to China, "according to a person with knowledge of the plans. Apple Vice President and dean of "Apple University," Joel Podolny, is currently interviewing candidates for a new dean position of Apple University in China, according to the source."  "Started in 2008, Apple University is an extensive and growing program within corporate Apple that trains mid-level employees and managers on the decisions made by Steve Jobs and other key executives. Jobs created the program alongside former Yale School of Business Dean Joel Podolny  see Apple Press Info)  in order to keep the culture of Apple alive," ensuring that Apple continues to thrive in the immediate post-Steve Jobs era and beyond."  Story by Mark Gurman 9t05Mac 03 November 2014. "Although many companies have such internal programs, sometimes referred to as indoctrination, Apple’s version is a topic of speculation and fascination in the tech world. It is highly secretive and rarely written about, referred to briefly in the biography of Mr. Jobs by Walter Isaacson. Apple employees are discouraged from talking about the company in general, and the classes are no exception. No pictures of the classrooms have surfaced publicly. And a spokeswoman for Apple declined to make instructors available for interviews for this article. But three employees who have taken classes agreed to speak to The New York Times on the condition that they not be identified. They described a program that is an especially vivid reflection of Apple and the image it presents to the world. Like an Apple product, it is meticulously planned, with polished presentations and a gleaming veneer that masks a great deal of effort."  The New York Times "Simplifying the Bull: How Picasso Helps to Teach Apple’s Style. Inside Apple’s Internal Training Program" 10 August 2014. Steven Jobs explains the rules for success on YouTube Uploaded on Sep 14, 2009, a 1:28-minute clip from the full-length 1:22;4) video "Steve Jobs and Blll Gates Face Off" of 30 May 2007 at the D5 conference, Carlsbad, California on YouTube.  "You need a lot of passion for what you're doing because its so hard. Without passion, any rational person would give up. So if youre not having fun doing it, if you dont absolutely love it, youre going to give up. And thats what happens to most people, actually." Survey of Faculty Views on Online Education Technology  Excerpts: "Gallup surveyed 2,799 faculty members and 288 academic technology administrators during August and September 2014... A copy of the report can be downloaded here -> Register and submit. Highlights include:  Virtually all faculty members and technology administrators say meaningful student-teacher interaction is a hallmark of a quality online education.  That meaningful student-teacher interaction is missing from most online courses.  A majority of faculty members with online teaching experience still say those courses produce results inferior to in-person courses.  Only about one-quarter of faculty respondents (26 percent) say online courses can produce results equal to in-person courses." Inside Higher Ed's 2014 "Survey of Faculty Attitudes on Technology" was conducted in conjunction with researchers from Gallup.  Source: View the entire article online at Inside Higher Ed, dated 29 October 2014. Opinions by industry, consultants and academe published as a "white pager" by Grenoble École de Management, 2014. Thoughts on the School of the Future  "Domestic demand for the MBA in its traditional markets, North America and Europe, is stagnating...Demand for business programmes is being propped up by students from emerging markets - particularly in Asia - who are still drawn by the cachet of a management degree from a prestigious Western institution."  Bill Ridgers, The Economist. "By 2025, the number of students worldwide is projected to double to 260 million. Half of this growth will come from China and India, two countries already planning to build hundreds of universities."  Patrick Aebischer, EPFL École Polytechnique Fédérale de Lausanne. (3) to foster a culture of innovation by encouraging students to start businesses." "The student experience will no longer be linear as the traditional “bachelors - masters - doctoral” path will have to be punctuated by professional experiences. This will help blur the line between initial training and continuing education." "Tomorrow, the students graduating from these [top-notch] schools will no longer search for jobs, they will create them."  Gilles Cochevelou, TOTAL. Higher Education in Asia: Expanding Out, Expanding Up.  "Enrolment in higher education has experienced explosive growth across Asia over the last 20 years, the result of high birth rates, increasing school participation rates, and the perceived importance of advanced education in subsequent life opportunities. To accommodate these enrolment increases, higher education systems have had to ‘expand out’ by constructing new universities, hiring new faculty members, and allowing and encouraging the entry of private higher education providers. Faced with escalating demand for instructional staff to serve the expanding number of public universities and the fast-emerging private universities, many countries across the region have needed to ‘expand up’ by introducing graduate programmes to prepare future instructors."  "Some of these policies are considered controversial, such as the growing reliance on the private sector, which raises issues of equity in access to higher education. Concerns also arise with the unintended consequences of being guided by international rankings to attract staff, students and even from international investment."  Unesco Institute of Statistics, Montreal 2014.  According to the Deans' Choices, one-half (48%) of the world's top 50 business schools are located in Europe, one-third (34%) in the United States and Canada, seven or 14% in Austral-Asia, and suprise-surprise two or 4% in Capetown, South Africa.  While Harvard, Yale, McGill, and Stanford are found in the top 10, MIT, Cornell and Columbia are not. Instead, Copenhagen (Denmark) takes the top spot, followed by INSEAD (France), Rotterdam's Erasmus University (The Netherlands), Vienna University (Austria), HEC Paris (France), Bocconi (Italy), IMD Lausanne (Switzerland), and ESADE of Spain. In Asia, NUS Singapore is a well-deserved 20th on the list. 1. Networking: Only 17 percent of 2013 Harvard B-School grads and 13 percent of 2014 Stanford MBA grads found work abroad after graduation. Better choose a European school if you wish to work in Europe; a local school, if you wish to work locally where you can network directly with employers. 2. Student diversity: Top programs in Europe tend to be much more internationally oriented, with up to 96 percent of the class coming from outside the country at some schools. Think about how that culturally diverse mix enriches class discussions, as well as creates networking opportunities that span the globe. 3. GMAT: Europe places less emphasis on GMAT scores which therefore trend to be lower than in the U.S.. At U. Chicago's Booth School of Business GMAT score 2014 admissions averaged 723, New York University Stern School of Business 721, and 728 at University of Pennsylvania’s Wharton School. Compared to 700 at London Business School, 685 at HEC Paris and 670 at IE Business School. Also, many European schools are not native speakers of English. 4. Work experience: European b-school students have more years of work experience than U.S.
Specializations are more important than MBA rankings. This report measures only one indicator – the employability outcome of an MBA program by region and specialization. Business school specializations are the 8th most important criterion for school selection. School specializations are more important to applicants than MBA rankings, convenience of location, or recommendations from peers, colleagues and even employers. The MBA curriculum is changing. There is now greater diversity in the many MBA specializations on offer, but QS rates the 10 core MBA specializations: • (1) Corporate social responsibility (CSR) • (2) Entrepreneurship • (3) Finance • (4) Information management • (5) Innovation • (6) International management • (7) Leadership • (8) Marketing • (9) Operations management • (10) Strategy. . The Report highlights four distinct categories of business school in terms of employer recognition: Elite Global; Emerging Global; Elite Regional; Emerging Regional• Of the 33 leading institutions to make the Elite Global category, 12 are from the US. The other nations with Elite Global business schools are Canada (6), UK (3), Spain (3), Switzerland (2), France (2), Denmark (1), India (1), Ireland (1), Italy (1) and Singapore (1). There is greater onus on choosing the right country as well as the right business school. According to the survey 2013, over 50% of MBA students are choosing schools based on the country in which they wish to work.  2013/2014 QS Global 200 Business Schools Report. "Unlocking the world’s top 200 business schools according to MBA employers," BY Nunzio Quacquarelli (MA Cambridge, MBA Wharton) and Danny Byrne (BA Oxford, MA University College London). Where do billionaires go to university?  A global census reveals that almost two-thirds of the world's billionaires have a university degree - but where did they study? In the UK, more than four out of five billionaires were in higher education - not so much rags to riches as rag week to riches. The educational insights are from an annual profile of the über-rich, the Wealth-X and UBS Billionaire Census, produced by the Swiss banking group and a Singapore-based financial intelligence firm. It examines the wealth and background of more than 2,300 billionaires  and the findings undermine the image of the wealthy as being self-taught self-starters trained on the market stall. This map of wealth also shows that these dollar billionaires - worth at least £620m and typically more than three times this amount - are likely to have attended some of the traditionally most prestigious universities. The top 20 for universities producing billionaires is dominated by blue-chip, elite US institutions, which take 16 of the places. 1. University of Pennsylvania; 2. Harvard University; 3. Yale University; 4. University of Southern California; 5. Princeton University; 6. Cornell University; 7. Stanford University; 8. University of California, Berkeley; 9. University of Mumbai; 10. London School of Economics; 11. Lomonosov Moscow State University; 12. University of Texas; 13. Dartmouth College; 14. University of Michigan; 15. New York University; 16. Duke University; 17. Columbia University; 18. Brown University; 19. Massachusetts Institute of Technology; 20. ETH Zurich.Most live in cities like London, New York and Moscow, and are on average 63 years of age. Most make their money in finance; and 39 percent came from overseas. And the most likely way of making money is by dealing in money, with billionaires mostly making their fortunes through finance, banking and investment.  Story by Sean Coughlan on the BBC 29 Oct 2014. What makes a global top 10 university? The Academic Ranking of World Universities (ARWU) website  2014 Top 500 listing  also known as the Shanghai Ranking, produced by the Shanghai Jiao Tong University, was first published in 2003. "The ranking, backed by the Chinese government, was designed to provide a global benchmark against the various universities in China so they could assess their progress. The aim of the ARWU is for Chinese universities to catch up on hard scientific research. According to The Christian Science Monitor the Academic Ranking of World Universities is one of the three most influential and widely observed international university rankings, along with the QS World University Rankings and the Times Higher Education World University Rankings. Its claimed consistent and objective methodology is praised when compared with other rankings. However, it has also been criticized for its heavier focus on the natural sciences over the social sciences or humanities, and on research over the quality of instruction." (Wikipedia, "Academic Ranking of World Universities.")  But how does a university get to the top of the rankings? And why does such a small group of institutions seem to have an iron grip on the top places? The biggest single factor in the QS rankings is academic reputation. This is calculated by surveying more than 60,000 academics around the world about their opinion on the merits of institutions other than their own. The next biggest factor - "citations per faculty" - looks at the strength of research in universities, calculated in terms of the number of times research work is cited by other researchers. The ratio of academic staff to students represents another big chunk of how the rankings are decided.  The Times Higher Education World University Rankings, ahead of its annual rankings next month, has been even more specific about what constitutes a top-200 university. It includes an annual total university income of above $750,000 (£462,000) per academic; a student-staff ratio of almost 12 to one; about a fifth of staff and students are international and research income of about $230,000 (£142,000) per academic. "You need serious money, it is essential to pay the salaries to attract and retain the leading scholars and to build the facilities needed," says THE rankings editor, Phil Baty.  By Sean Coughlan BBC News 15 September 2014. What do you do with millions of extra Chinese and Indian graduates? In China this month [of July 2014] a record 7.26 million will graduate from the country's universities - more than seven times the number 15 years ago. 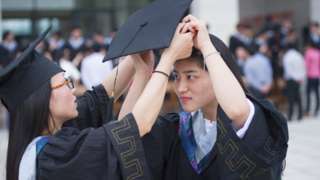 Both India and China have experienced a higher education revolution in the past decade, with the number of young people completing university degrees rising from a few hundred thousand a year to many millions. Dramatic expansion of university education should have provided new graduates with opportunities unheard of in their parents' generation. Instead, with an alarming rise in the number of unemployed and under-employed graduates, a large group of educated young people are becoming alienated, unable to become part of the growing middle class. The numbers are staggering. In India one in three graduates up to the age of 29 is unemployed, according to a Labour Ministry report released last November. Total unemployment in the country is officially closer to 12%. Many graduates used to find jobs in the state sector in both India and China. But with a significant youth bulge in India's population and rapid expansion in university education in China, the numbers have outgrown what can be absorbed by the jobs market. India’s higher education challenges  Abstract: "India, with the world’s second largest higher education system and a rapidly growing economy as one of the BRIC nations, faces significant challenges in building both capacity and excellence in higher education. India’s higher education system is characterized by 'islands of excellence in a sea of mediocrity.' 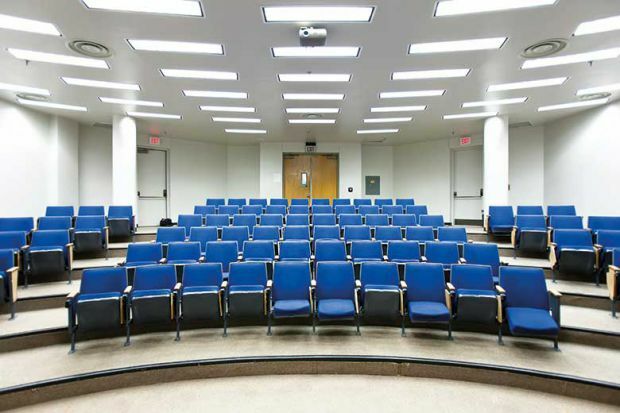 The mainstream universities are recognized as lacking in quality. Only the Indian Institutes of Technology and related institutions garner international recognition. This article analyzes the challenges facing India’s higher education system in the twenty-first century." enrolled in post-secondary education, attending more than 35,500 colleges and 574 universities. It is estimated that more than half of the world's post-secondary institutions are located in India - many of the colleges are uneconomically small." "Dropout rates are high..."
By Philip G. Altbach, Monan University Professor and director of the Center for International Higher Education at Boston College, Chestnut Hill, Massachusetts, in Asia Pacific Education Review December 2014, Volume 15, Issue 4, pp 503-510. Springer Link $39.95 / €34.95 / £29.95 Date: 03 June 2014. Picture: Hard talk. 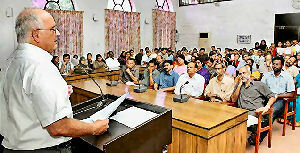 Professor Altbach delivering a lecture at the University of Calicut, in The ascent of English by Abdul Latheef Naha. Altach recommends: "India has extremely small top-class internationally competitive higher educational institutions,” he said, adding that the best option for India's institutions would be to enter into partnership deals with foreign universities as was being done in China." 6. Increase Usage of English Language. Business schools fail to teach needed skills.  Overall, 32% of business executives from companies including from Accenture PLC, Unilever PLC and Liberty Mutual Insurance interviewed had a positive impression of business schools, 23% were neutral, and a solid 44% had outright negative views on the institutions. Employers felt b-schools don’t measure student progress and abilities rigorously enough and focus too much on theory and not enough on real-world situations. Executives said that many business schools are “better structured for the Industrial Revolution rather than the Information Age,” according to a white paper detailing the interview findings. And if they don’t shape up soon, interviewees threatened to cut back on hiring from those schools. One of the biggest problems executives cited was that schools don’t measure student success with the right metrics. Just 12% of those interviewed said M.B.A. grades actually matter in hiring, so students who take the easy A instead of challenging themselves academically gain little benefit. Instead, employers said they’d like to see more assessment of so-called soft skills like the ability to execute a plan, communication and critical thinking. “I need people who can change and improve things, not people who can sit around and apply models all day long,” Muna Al Gurg, director of retail at Al Gurg Group, told Hult interviewers, according to the white paper.  Melissa Korn, "Business Schools Flunk When CEOs Grade the Test," The Wall Street Journal 18 March 2014. The Digital Education Show 27-28 May 2014 Kuala Lumpur, Malaysia  Co-organised by Terrapinn and MDeC, and supported by the Ministry of Education, Malaysia, the 2nd annual Digital Education Show Asia is set to be the most exciting education technology trade event in Asia in 2014. You will meet APAC’s Education Ministries, Public and Private Schools, Public and Private Universities, International Schools, Vocational Institutions, Polytechnics... Announcement on the web | Prospectus emailed to you. Post-secondary Education Expenditures by OECD Countries January 2014 US Dept of Education Report  "The Conditions of Education. Elementary, Secondary and Post-Secondary Education"
 [Green line] Linear relationship between spending and country wealth for 31 OECD countries reporting data (postsecondary): r2 = .78; slope = 0.49; intercept = -2619.67. NOTE: Data for Luxembourg are excluded because that country does not report expenditure data for postsecondary institutions. Data for Greece and Turkey are excluded because expenditure data are not available for 2008, 2009, or 2010. Expenditure and GDP data for Canada and expenditure data for Germany are for 2009. SOURCE: Organization for Economic Cooperation and Development (OECD), Center for Educational Research and Innovation. (2013). Education at a Glance 2013. See Digest of Education Statistics 2013, table 605.10. "In 2010, the United States spent $11,826 per full-time-equivalent (FTE) student on elementary and secondary education, an amount 39 percent higher than the OECD average of $8,501. At the postsecondary level, U.S. expenditures per FTE student were $25,576, almost twice as high as the OECD average of $13,211. "This indicator uses material from the Organization for Economic Cooperation and Development (OECD) report Education at a Glance 2013 to compare countries’ expenditures on education using the measures expenditures per full-time-equivalent (FTE) student from both public and private sources and total education expenditures as a percentage of gross domestic product (GDP). The OECD is an organization of 34 countries whose purpose is to promote trade and economic growth. Education expenditures are from public revenue sources (governments) and private revenue sources, and include current and capital expenditures. Private sources include payments from households for school-based expenses such as tuition, transportation fees, book rentals, or food services, as well as public funding via subsidies to households, private fees for education services, or other private spending that goes through the educational institution. The total education expenditures as a percentage of GDP measure allows a comparison of countries’ expenditures relative to their ability to finance education. Purchasing power parity (PPP) indexes are used to convert other currencies to U.S. dollars (i.e., absolute terms)." The 10 Top Global Hotel Management Schools  The TNS Sofres institute's survey conducted in summer 2013 among 232 managers and recruiters from the hotel world found Ecole hôtelière de Lausanne the top benchmark school for hotel management training. "The respondents had to choose from a list of 86 reputed institutions the school which they considered to be among the best in the world in terms of recruitment of graduates for an international career in the hotel industry. The pool of respondents consisted of hotel managers and human resources managers from 63 different countries. 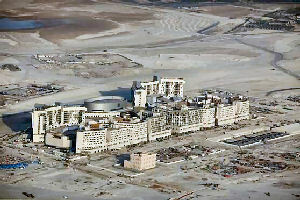 Ecole hôtelière de Lausanne was selected by 67% of the persons surveyed." "The professionals questioned for this survey came from luxury hotels such as Marriott, Hilton, Fairmont Hotels, Sheraton or Hyatt. 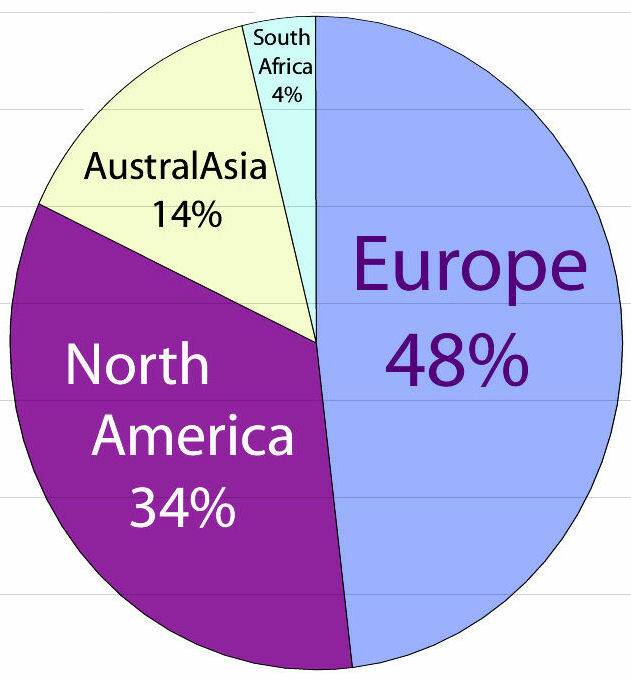 It should also be noted that 32% of them came from Europe, 36% from China and Asia Pacific, 12% were North and South American, 13% hailed from Africa and the Middle East, and 7%, lastly, were from Australasia. The top 3 schools are all Swiss. The winners’ rostrum is made up solely of Swiss institutions since in second place, behind Ecole hôtelière de Lausanne, we find the Glion Institut des Hautes Etudes, while Les Roches comes third. The ranking confirms the excellence of the Swiss educational model, which provides both immersion in practice through internships in the hospitality industry and also extensive academic teaching." 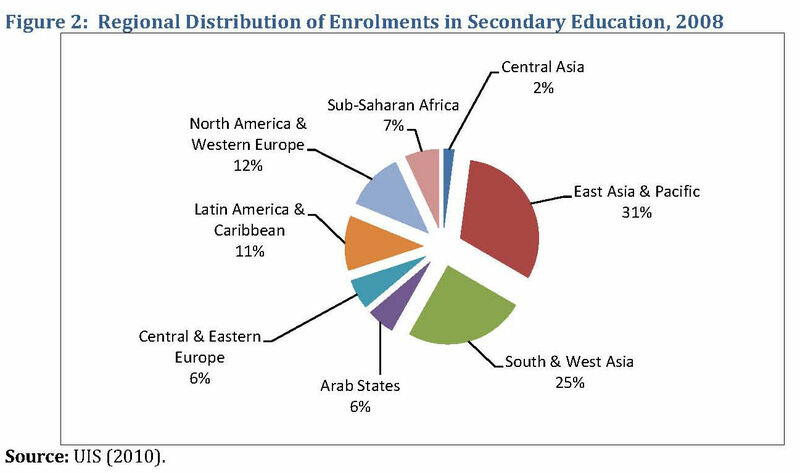 Exponential growth of post-secondary education is in Asia, where 58% of the world's secondary education students are. College and university enrolments in North America & Western Europe are in decline, as the two maturing continents have only 12% of the world's students in secondary education. My annual report for the 2012-13 academic year... "For the past 12 months I've moved from writing articles for refereed journals to creating digital products for high-school history teachers. These include lesson plans, sets of original documents, instructional videos, and short assessments of historical thinking. With my team of graduate students, we've eliminated the middleman. Rather than seeking a publisher, we upload our materials directly to the Internet and leave them by the proverbial digital curb. For free. To date, we are closing in on a million downloads."  "I no longer believe that the scholarly enterprise of education has much to do with educational betterment. I no longer believe that when I publish articles in journals with minuscule circulations I am contributing to the fieldif by 'field' we mean the thousands of well-meaning individuals who go to work each day in places called schools."  "The ground is quaking beneath schools of education. Unattached to universities, new programs for training teachers, sometimes run by charter-management organizations, other times acting as freestanding entities, proliferate like spring dandelions."  Comment by procrustes: "1. These appear to fall more under pedagogy and service that research and scholarship. 2. The question should not be how to make these fit under research and scholarship, but whether universities overvalue this at the expense of the other categories and what to do about it. 3. The publishing of articles with an audience approaching zero serves no real purpose; from an institutional perspective we should stop rewarding it and stop subscribing to those journals." Source: Sam Wineburg - "Choosing Real-World Impact Over Impact Factor," The Chronicle of Higher Education, 26 August 2013. East Asia leads the world in academic research funding.  Businesses are investing the equivalent of $100,000 in each research scholar in South Korea to carry out work in innovation and research on their behalf. Singapore is in second place with $85,500 per academic, with the Netherlands are third with $75,000. The US takes 14th place with industry contributing $25,000, the UK is in just 26th place, attracting £8,572 ($13,300) per researcher from industry. The UK is in just 26th place, attracting £8,572 ($13,300) per researcher from industry. The World Academic Summit Innovation Index is based on data from the world’s top 400 universities as assessed by the THE World University Rankings. Phil Baty, editor of the THE World University Rankings, said: “That South Korea and Singapore are the top two countries listed in this new table, with other Asian nations like Taiwan, China and India all making the top ten will be a shocking wake-up call for the West.”  THE Times Higher Education 12 August 2013. Young Japanese show every year their lack of willingness to study abroad - partly because several study programs in Japan were canceled in the wake of the March 2011 disasters. The number of Japanese students enrolled in U.S. universities in the academic year that started in fall 2011 dropped 6.2 percent from a year earlier to 19,966, compared with around 194,000 Chinese students, up 23.1 percent, the Institute of International Education said Monday.  China remained at the top for the third consecutive year. Indian students came in second, followed by South Koreans and Saudi Arabians.  [I]t seems that neighboring countries such as China and Korea are winning the battle to globalize their future workforce. The Asia Career Times 12 November 2012. China's Drill and Kill Education "The discrepancy between rich and poor is vast, both economically and educationally. The pressure of social status, income level and prestige is powerful. Children from families with resources take classes all day and have extra classes in the evening and weekends. 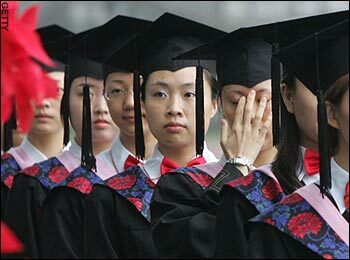 And yet, according to the New York Times, 40,000 Chinese students arrive in the United States every year to attend colleges and universities, hoping for a better education and an advantage in business when they return home to China with an American degree (NYT November 03, 2011, The China Conundrum). The Western allure is surely one of the reasons Waldorf education is gaining popularity and success in China." More. 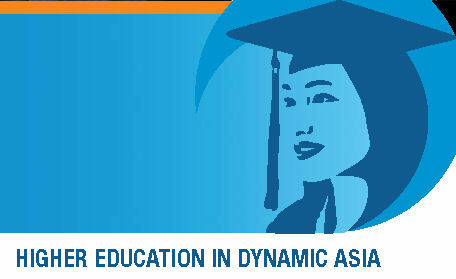 Higher Education in Dynamic Asia  Four Challenges. As higher education systems across Asia look forward, they face four overarching challenges: (1) Maintaining and improving education quality even in the face of serious financial constracts. (2) Increasing the relevance of curriculum and instruction at a time of rapid change in labour market needs. (3) Increasing and better utilizing the financial resources available to higher education. (4) Balancing the continued access to higher education with greater attention to equitable access and inclusiveness of higher education systems to support inclusive ecnoomic growth.  Source's website | PDF Brochure by ADB Asian Development Bank, December 2012. The End of the University as We Know It.  The higher ed revolution is coming. Just a few decades hence, half the 4,600 colleges and universities in the United States will have disappeared, but schools like Harvard will have millions of students. by Nathan Harden, The American Interest 11 December 2012. Faculty salaries at public universities worldwide. Survey published by Inside HigerEd 22 March 2012. Higher Education Across Asia. An Overview of Issues and Strategies.  In Asia, generalizations must be treated with great caution. The region includes the country with the largest population in the world (People's Republic of China [PRC]) along with a number of small ones (Lao People's Democratic Republic [Lao PDR], Mongolia). It includes some of the most affluent (Japan, Republic of Korea, Singapore) and some of the poorest economies (Cambodia, Lao PDR). It includes one of the fastest growing higher education systems (PRC) and two that are now downsizing (Japan, Republic of Korea). There are wide variations in the circumstances facing higher education in the region and important differences in the capacity of governments to respond to the challenges posed by the growth of higher education.  A report published by the Asian Development Bank, November 2011. Editor's Extracts PDF 650K 17 pages | The original report 55 pages, PDF. As many as one quarter of American students don't finish high school. We've fallen to ninth place in the proportion of young people with college degrees. The quality of our math and science education lags behind many other nations. A report by a government commission found that half of all Pakistani school children cannot read a sentence. The commission found funding for schools has been cut from 2.5% of GDP in 2005 to just 1.5% - less than the national airline gets in subsidies. It describes the education crisis as a self-inflicted disaster. The report says 25 million children in Pakistan do not get primary education, a right guaranteed in the country's constitution. Three million children will never in their lives attend a lesson. The Holistic Curriculum in Higher Education - Keynote address presented at the Annual Scientific Conference Abai Almaty State University, 30th April 2008 by Michael Schemmann. "It is the mark of an educated mind to be able to entertain a thought without accepting it." (Aristotle)  I draw my inspiration and energy from the roots of a holistic education in Rudolf Steiner’s Waldorf Schools in Basel, Switzerland and Kassel, Germany and a senior year as a foreign exchange students in high school in Wayne, in Philadelphia’s wealthy suburb on the Pennsylvania Main Line, followed by a bank apprenticeship and ten year’s of on-the-job training and promotion, until I entered business school and eventually university to take out an MBA and then a PhD and became a Certified Public Accountant in the State of Washington, USA. "Business universities are driving the trend, but English is spreading to the undergraduate level, with some South Korean universities offering up to 30 percent of their courses in the English language. The former president of Korea University sought to raise the bar to 60 percent, but ultimately lost his post in December in a faculty backlash over his ambitions." "Santiago Iñiguez, dean of the Instituto de Empresa [Madrid], argues that the trend is a natural consequence of globalization, with English functioning as Latin did in the 13th century as the lingua franca most used by universities. English is being adapted as a working language, but it's not Oxford English," he said. "It's a language that most stakeholders speak." He carries out conversations on his blog, deanstalk.net, in English." The Future of Flagship University  Robert M. Berdahl, Chancellor, University of California, Berkeley: "My concern is that flagship universities are in peril today and I believe that the educational and political leadership of our states must generate the political will to secure the future of these investments." "But I am convinced that a key answer lies in the fact that, as the great German physicist Max Planck observed long ago, each new scientific discovery costs more than the last." "Or consider the start-up costs of a new faculty member in the sciences or engineering. 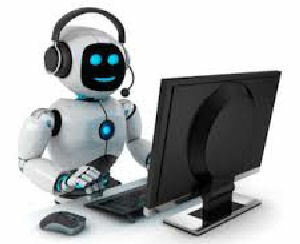 Depending on the need to renovate laboratories, these costs can run from a minimum of $100,000 to as much as $2 million. Research universities cost a great deal of money. They also take a long time to build. When John D. Rockefeller first considered building the University of Chicago, he visited President Eliot at Harvard to ask what was required to build a great university. Eliot replied, "Fifty million dollars and two hundred years."